Vinyl has been having a revival of sorts—and not just of the record type. 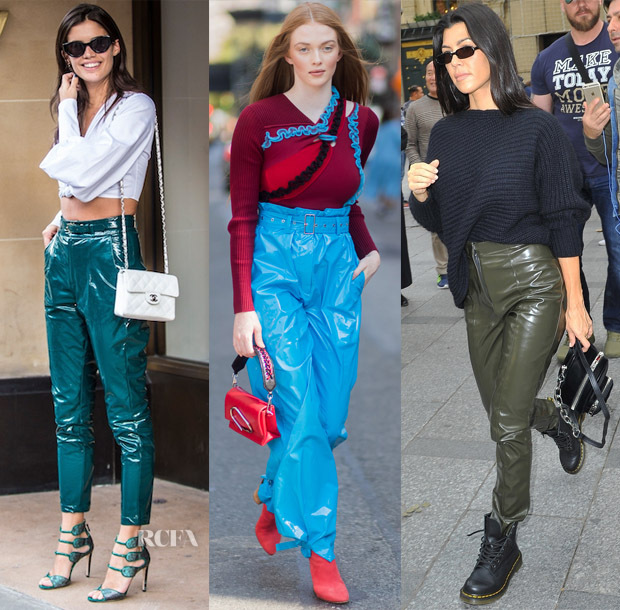 Trousers of the vinyl variety have been popping up during Fashion Weeks—from New York to London and Paris—capturing the affection of trendy celebrities as they transition their wardrobes into fall. 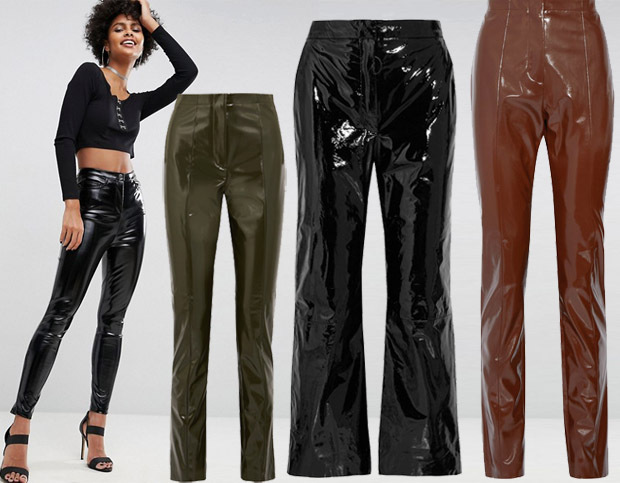 The glossy PVC pants bring a whole new layer of edginess mixed with stylish rebellion, providing an updated twist on the traditional leather trouser. And, they are way more than a one-trick-pony, as this recent trio of stars proves just how sartorially versatile they can be. If you immediately associate vinyl with the colour black, Sara Sampaio’s look during London Fashion Week will quickly change your perception of PVC. I love the intense teal hue of her cropped pants. Styled with matching Chloe Gosselin sandals along with a cropped shirt and a Chanel bag, it was a timelessly modern look that radiated with cool-girl appeal. Larsen Thompson continues to impress with her directional looks, and this street-style 3.1 Phillip Lim head-to-toe statement from New York Fashion Week was no different. The shiny, sky-blue pants with a mock paper bag waist showed that tight, spray-on vinyl isn’t the only way to wear the trend. As for Kourtney Kardashian, she also hopped on the vinyl bandwagon with her look just yesterday (September 26) during Paris Fashion Week. Offering a tough-girl-chic variation, she paired slick, army-green Acne Tugi vinyl trousers with a T by Alexander Wang chunky asymmetrical sweater, an Alexander Wang ‘Attica Soft Mini Cross Body Bag, and Dr. Martens boots.